Military and tourist clothing is very popular thanks to its convenient styles, attractive colors and possibilities of versatile use. 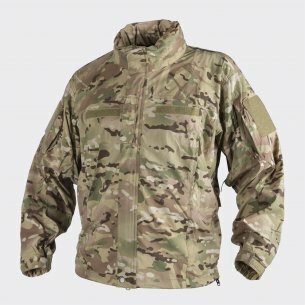 In the military store you can buy not only classic uniforms, but also fleece, softshell and hardshell jackets, winter jackets, and tactical shirts. 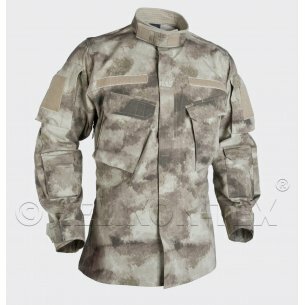 Hwesta.eu online store was established in 2010 and from the very beginning deals in the sale of thermoactive underwear, military and paramilitary clothing, offering also safety goggles, belts, elbow pads, footwear and tactical accessories. It can offer items from 5.11, Inc., Alta®, BATAC®, Cold Steel®, Eze Lap ™, GK Professional®, Helikon-Tex®, MacTronic® and Mechanix to its customers, both wholesale and retail. ®, Mora of Sweden®, Propper ™, Source®, Surplus. Lovers of long, hiking and mountain climbing will certainly appreciate the torches, knives and backpacks sold here. The offer also includes tactical and shooting equipment of many well-known companies at affordable prices, as well as tourist grills, tents and sleeping bags. 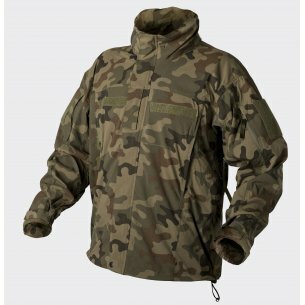 Devotees of military, survival, outdoor and bushcraft style certainly know the brand Helikon-Tex Sp. z o.o. The company hiding under this name was founded in 1983 and until today specializes in the production and distribution of attractive military and paramilitary clothing, as well as comfortable bags and backpacks. Thanks to cooperation with the Hyde Definition brand, Helikon-Tex has increased its possibilities of launching camouflage products on the market. Therefore, it offers access to PenCott masking: GreenZone, Badlands, SandStorm and Snowdrift. In 2015, the Helikon-Tex brand was placed on the list of Powers of Business, which proved its growing market value, and in the next year it was the winner of the Business Gazelle 2016 ranking. Currently, Helikon-Tex already has not only wholesale channels, but also running a retail channel by creating your own online store. The products of this brand are already known all over Europe thanks to their high quality, reasonable prices and a wide range. It is Helikon-Tex that we owe to popular UTP tactical pants, Patriot and Liberty fleece, and Level 7 winter jackets. Due to the danger of prolonged radiation or contact with biological and toxic substances, customers of military stores pay attention to specialized sets, which include: suits, cooling covers, underwear, rubber and cotton gloves, containers and vaginal tubes, repair sets containing vials for degreasing of gasoline and decontamination of damaged areas on the skin, self-adhesive plasters, as well as polyethylene bags in which the entire set can be stored. Clothing of this type was originally founded on a combat uniform. Protective kits can also be two-piece, and therefore consist of a jacket and trousers. Their advantage is a three-layer fabric consisting of a surface fabric, a fire-resistant material and an absorbent fabric, i.e. a lining. Two-piece sets also sell warmers manufactured for pilots. The specialist sets also include masks with filter-absorbers and a self-adjusting sealing strip, designed in a way that ensures a wide field of view. 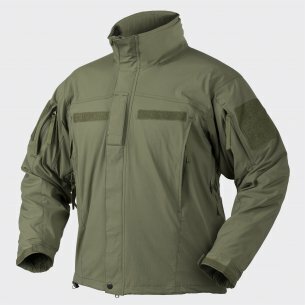 Men's sets and coveralls, made especially for the army, are waterproof, and sometimes also fireproof, provided with a hood, made of rubberized fabric and fitted with comfortable ankles, knees, waist and neck fastening. Clothing of this type, often from a demobil, is usually sold in a set with a bag. Men's suits are an excellent proposition not only for soldiers. They will perfectly fulfill their protective task in the mountains or on other terrain characterized by difficult weather conditions. They are - of course - very useful in the army, which uses clothing made of slow-burning fabrics. Leading models have fleece lined collars with a stand-up collar, which prevents neck chafing, are also provided with ventilation holes under the arms.